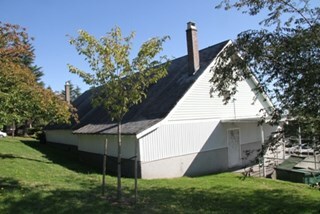 Set far back from Sperling Avenue, Woodward Cottage is a one-storey, wood-frame house with a raised foundation and gabled roofline. 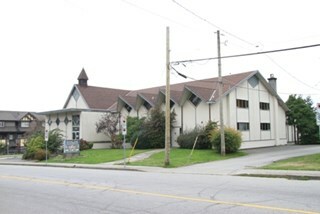 It is located within a picturesque lakefront neighbourhood and is part of the Deer Lake Park Heritage Precinct. 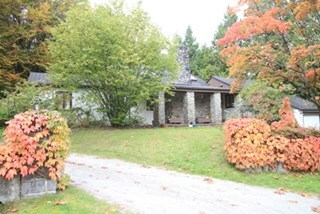 Woodward Cottage, built in 1904, is valued as the oldest house within the Deer Lake neighbourhood, whose construction marked the beginning of Deer Lake's transition from a rural farming community to a residential suburb. 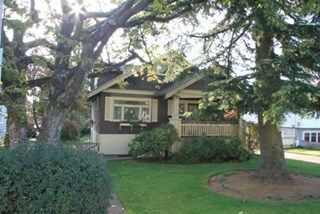 At the turn of the nineteenth century, Deer Lake was recognized for its tranquility and beautiful scenery, which, in turn, attracted New Westminster and Vancouver residents to relocate to the area and build family homes. 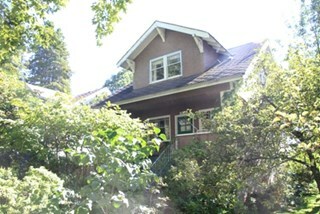 The first owner, Maud Sarah Woodward (1865-1958), originally from England, was a pioneer nurse of Vancouver. 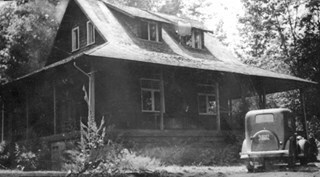 In 1903, she purchased this property from her two close friends, Louis and Annie Hill, who were among Deer Lake's first residents. 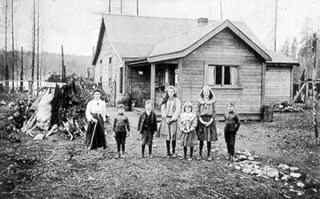 Maud and her sister, Harriet Julia Woodward (1879-1969), were prominent figures in the Deer Lake community and together they established the first post office in Burnaby, which operated out of this house. 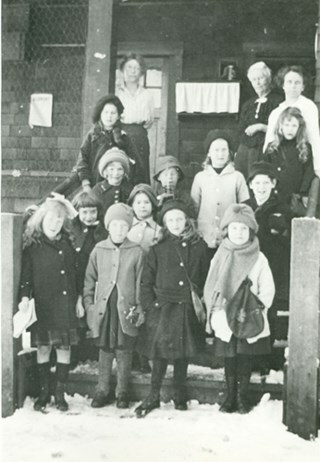 Due to the lack of any local facilities, in September 1904 Harriet Woodward established a private primary school here for the local children, which continued after 1908 as a kindergarten. 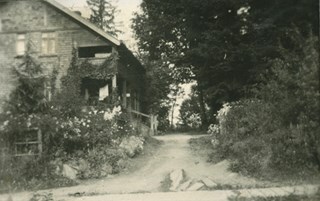 The cottage was enlarged several times to accommodate the expanding post office until 1912, when the Woodwards began construction of a new, larger house. 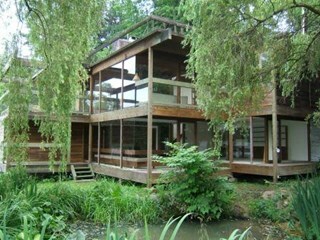 Woodward Cottage is also valued for its origins as an innovative prefabricated structure. 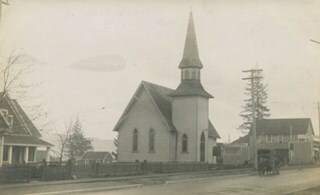 In 1904, the B.C. Mills Timber and Trading Company patented a modular system in response to unprecedented population growth in the western provinces. This system could be adapted to provide everything from modest one-room cottages to schools, churches and banks. Short mill ends of lumber and siding, which had previously been discarded, were assembled into three or four-foot wide wall panels that could be bolted together. The vertical joints between the panels were covered by narrow battens, which gave these buildings their distinct appearance. 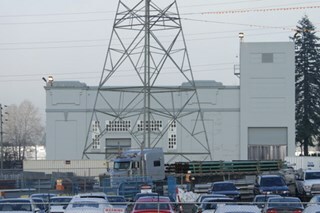 The wall panels for the house were assembled at the mill, prepainted and packaged with various other components and the necessary instructions to assemble the building, and shipped via railway to its waiting customer. 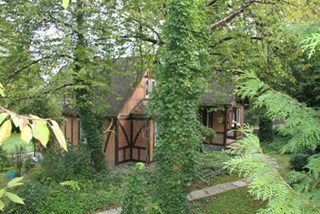 Woodward Cottage is one of the earliest surviving examples of this ingenious prefabricated system. 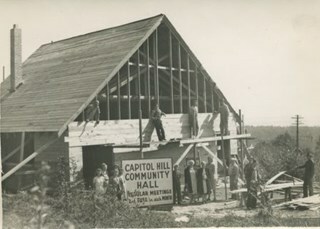 In the 1930s, the cottage was raised and turned to allow for a new foundation to be built. 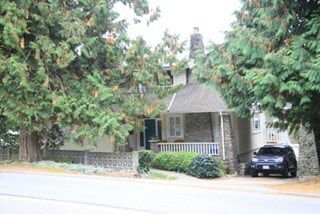 Despite later additions and alterations, the original cottage form is still recognizable. 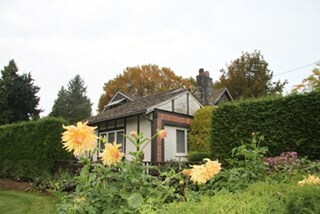 Woodward Cottage is currently owned by the City of Burnaby and is part of the Deer Lake Park Heritage Precinct, Burnaby's most significant collection of historic sites. 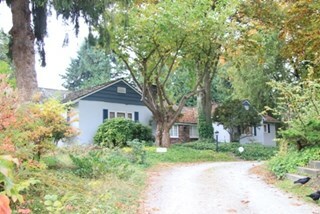 Woodward Cottage is comprised of a single residential lot located at 5141 Sperling Avenue, Burnaby. 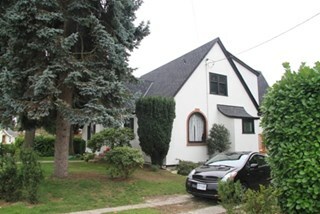 The Mary English Residence is a one and one-half storey, wood-frame, Period Revival cottage with a steeply pitched, cross-gabled roof. 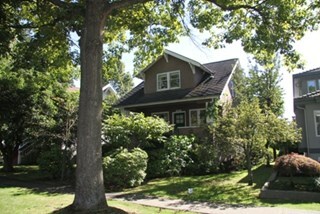 Situated on Griffiths Drive within the Edmonds neighbourhood of Burnaby, the Mary English Residence has an original attached garage. 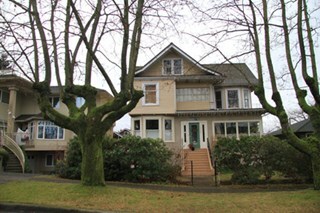 The Mary English Residence, built in 1930, is valued as a representation of the period revival styles that were popular in the era between the two World Wars. At this time, it was considered the height of fashion for a house to reflect historical styles, even when combined in an eclectic manner, that expressed a domestic ideal of cozy traditionalism. 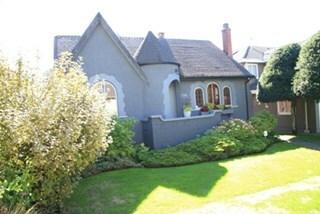 The Mary English Residence is an exuberant example of this trend. 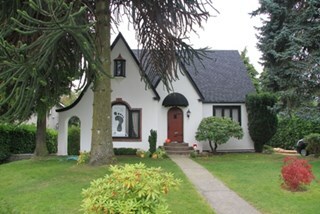 Half-timbering, multi-paned and leaded casement windows and a steeply pitched, cross-gabled roof impart a storybook cottage charm. 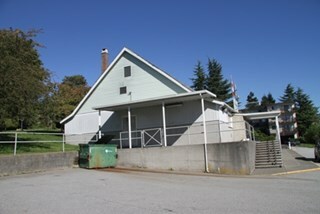 Its first owner, Mary English, was employed for several years as stenographer at the old Burnaby Municipal Hall. 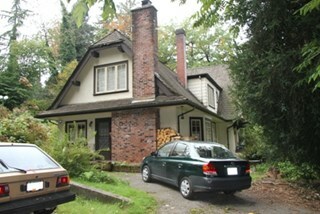 An original attached garage is evidence of the growing presence of automobiles in domestic life of the 1930s. 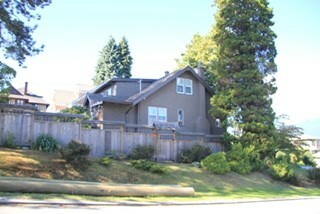 Additionally, the Mary English Residence is a testament to the continued suburban growth of the Edmonds neighbourhood. 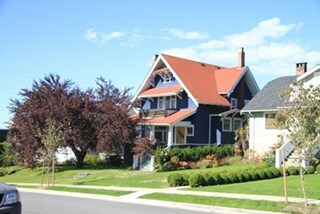 During the Edwardian era, the area experienced a housing boom. 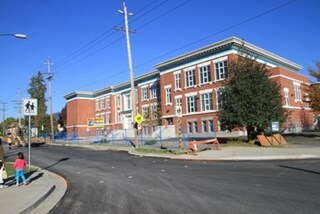 Its proximity to New Westminster, coupled with its regional transportation links, made it an attractive area for middle-class residences. 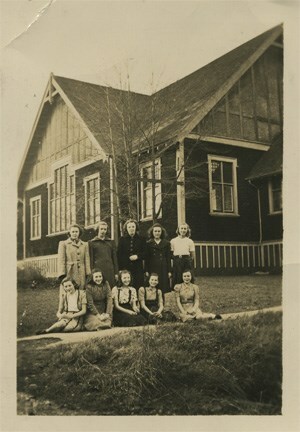 Despite the economic recession of the 1930s, the Edmonds area continued to develop with modest but handsome housing. 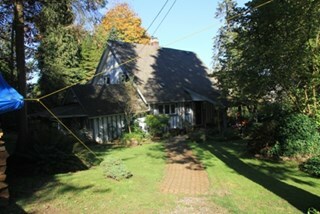 The Mary English Residence is comprised of a single residential lot located at 7276 Griffiths Drive, Burnaby. 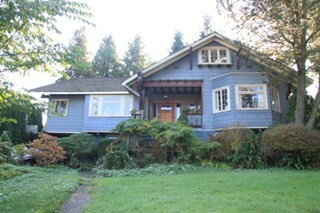 The Louis and Annie Hill Residence is a modest one-storey, wood-frame, side-gabled Arts and Crafts bungalow with two projecting front gables, that was originally part of the Deer Lake Crescent Subdivision. 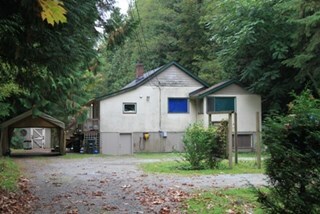 The lot is heavily treed, and sits near the east end of Deer Lake. 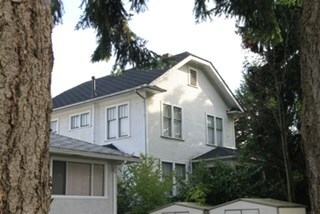 The heritage value of the Louis and Annie Hill Residence lies in its association with prominent Burnaby pioneers, Louis Hill (1860-1931) and his wife, Annie Sara Hill (née Kenrick, 1864-1957). 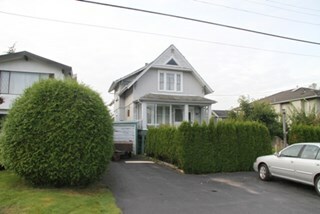 Originally from London, England, Louis Hill immigrated to Burnaby circa 1887, and established a small fruit farm on this site in 1891. 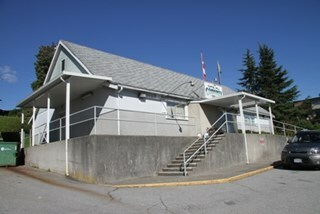 Hill was elected to the first municipal council in 1892, when Burnaby was incorporated, and was later responsible for the subdivision of Buckingham Estate in the Deer Lake neighbourhood. 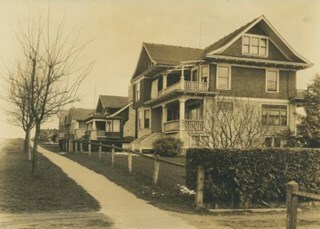 The Louis and Annie Hill Residence, built as a retirement home in 1925, is further valued as a representation of the continued suburban development of the Deer Lake Crescent Subdivision, that was originally promoted in 1911 as an upper class suburban neighbourhood. 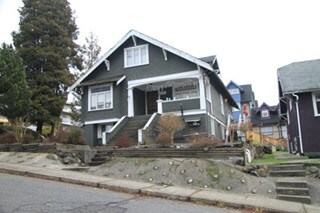 Its modest nature illustrates the reduced scale of residential construction during the austere times that followed the end of the First World War. 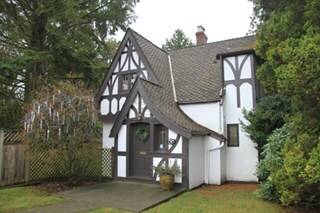 The style of the house demonstrates the late persistence of the Arts and Crafts movement, which remained a strong influence on domestic architecture. 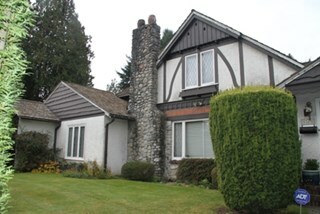 In 2006, the Louis and Annie Hill Residence was purchased by the City of Burnaby, and today it is part of the Deer Lake Park Heritage Precinct, Burnaby's most significant collection of historic sites. 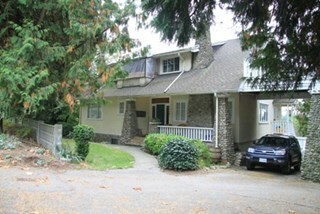 The Louis and Annie Hill Residence is comprised of a single residential lot located at 6570 Deer Lake Avenue, Burnaby. 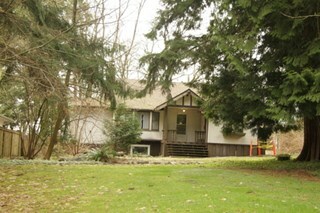 The Dr. William & Ruth Baldwin House is a two-storey modern post-and-beam structure, located on the southern shore of Deer Lake in Burnaby's Deer Lake Park. 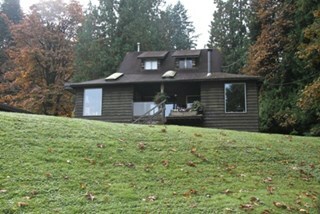 The site is steeply sloped, and the main entrance of the house is at the top of the slope facing onto Deer Lake Drive. 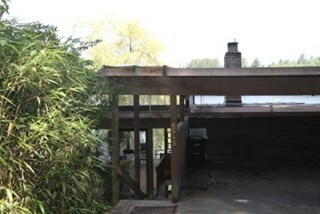 The Baldwin House is valued as a prime example of Burnaby’s post-Second World War modern heritage and progressive architectural style, as well as for its personal connections to internationally-acclaimed architect, Arthur Erickson. 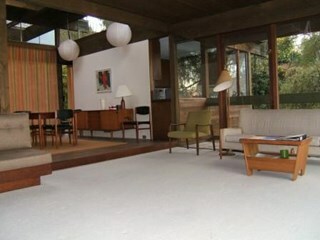 Inspired by the modern domestic idiom established earlier in the twentieth century by Frank Lloyd Wright and Richard Neutra, Erickson conceived his architecture as responding directly to the site. A cohesive expression of simple orthogonal lines and ultimate transparency, this structure reduces the idea of post-and-beam West Coast modernism to its most refined elements. 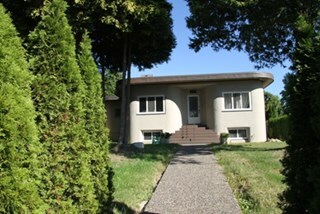 A fine example of the evolving talent of Erickson’s earlier work, this house is a landmark modern house in Burnaby and is unique in terms of siting and context. 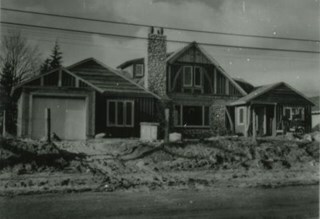 Having just won the 1963 competition for the new Simon Fraser University in Burnaby with his partner, Geoff Massey, and having built fewer than half a dozen homes previously, Erickson’s reputation was growing and his skill as a designer of modern buildings was in great demand. 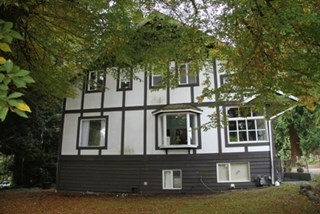 The same year that Erickson/Massey Architects designed SFU, Dr. William Baldwin and his wife, Ruth, personal friends of Erickson, commissioned him to design this house. 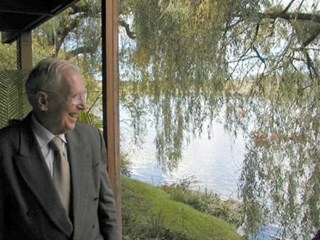 Erickson was already familiar with the site; as a child he had spent time at this spot when his family visited friends who lived on Deer Lake. 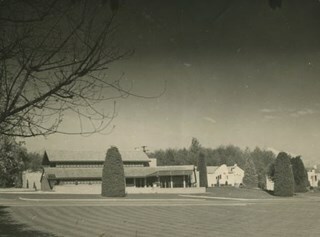 Both the Baldwin House and the university were completed in 1965. 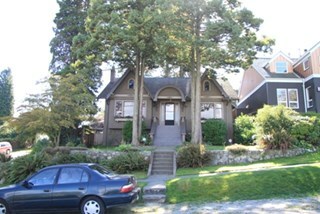 SFU became internationally famous; the Baldwin House was also considered an architectural success and was recognized in publications of the time. 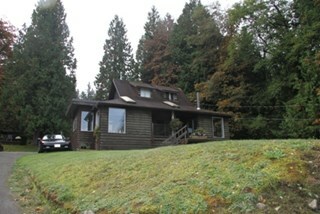 Only a single storey of this two-storey house is visible from the road, as it is built into the hillside in response to its steep site and proximity to Deer Lake. 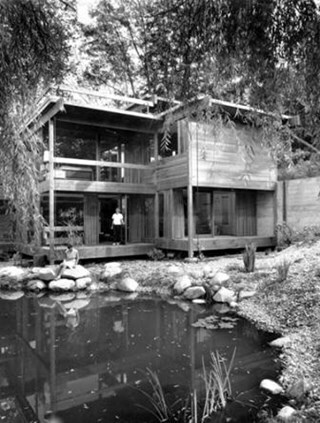 Like many other Erickson designs, this structure was conceived as a pavilion. Constructed of glass and wood, its transparency facilitates visual access to the lake’s edge, acting as an invitation, rather than a barrier, to the landscape. The house blends into the natural surroundings and the site includes other man-made landscape features such as a reflecting pool. As a reaction to the often grey quality of light in the region, Erickson exploits flat planes of water as a source of borrowed light. The refined and purposeful design, transparency, openness of plan and adjacency to the lake combine to give the house a floating appearance at the water's edge. The concept of a floating house set within an accompanying garden was inspired, in part, by the palaces and house boats of Dal Lake in Kashmir and the famed nearby Mughal Gardens. 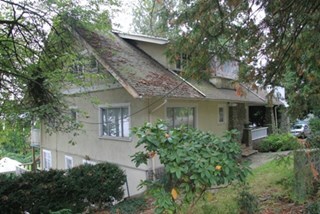 Although Erickson never visited Dal Lake, he travelled extensively throughout India, and specifically mentions the Kashmir reference in relation to this house. 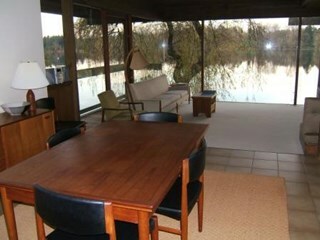 There is a rich complexity of other allusions worked into the fabric of the house, unified by a feeling for the conjunction of light, water and land at this special location. 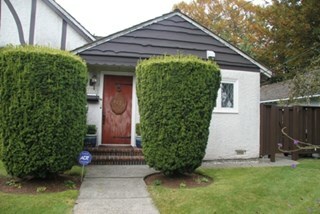 Widely renowned as Canada’s most brilliant modern architect, Erickson’s reputation is important to the development and growth of modern architecture in Canada and North America. 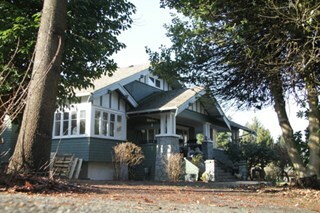 The Baldwin House is comprised of two municipally-owned lots located at 6543 and 6545 Deer Lake Drive, Burnaby. 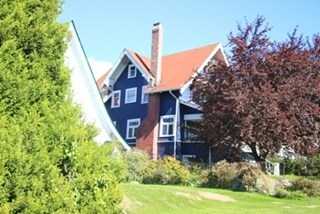 This house was originally built by Fraser Arm pioneer and postmaster Johnson Alfred Skinner (1864-1941) and his wife, Mary Emma Skinner (née Bailey, 1862-1929). 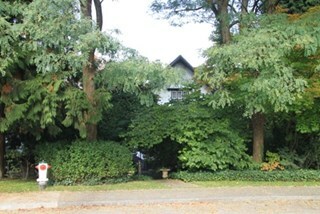 Johnson, who was from Sussex, worked as a horticulturalist. 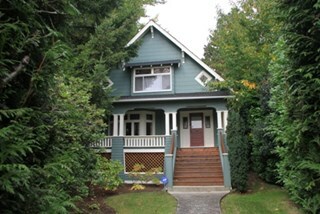 This is an unusual variation on the Craftsman style, with a side gabled roof and a half-width front verandah. 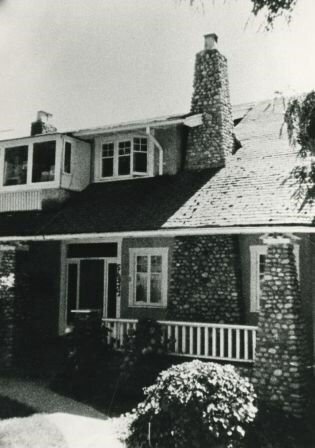 Local mason John Pickard completed the distinctive battered cobblestone masonry, including the foundation, chimney, verandah columns and the porte-cochère. 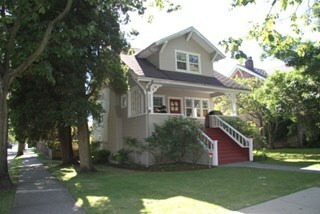 The house was later occupied and remodeled by the Timms family. 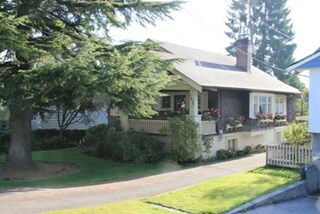 This high-quality Craftsman bungalow was built for Alfred John Chrisp (1882-1944) and his wife Sarah Hannah Chrisp (née Hindmarch, 1883-1954). 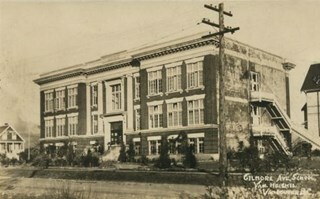 Starting in 1908, Alfred worked as an accountant for the CPR in New Westminster, and he and Sarah were married there in 1910. 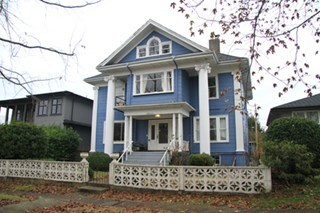 This house features a front gabled roof and gabled front porch, and is notable for its elaborate stained glass windows in the front door glazing, sidelights and the narrow transom over the front elevation window. 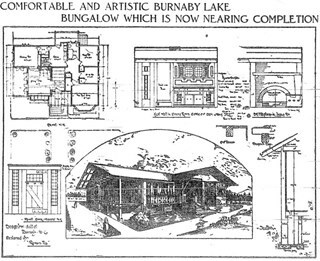 Maintaining a very high degree of original integrity, the bungalow features lapped siding at the foundation level, a shingle clad main floor, a combination of casement and double-hung windows and square tapered porch columns. 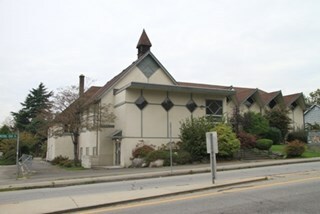 The Capitol Hill Community Hall was designed by local architect Harold Cullerne (1890-1976). After Cullerne returned from service during the First World War, he joined J.H. 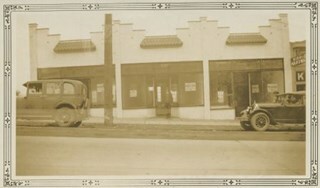 Bowman in a partnership that lasted from 1919 to 1934. 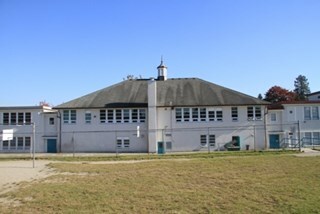 After Bowman retired in 1934, Cullerne practiced on his own, continuing to work on schools and institutional buildings, such as the Art Deco Hollywood Theatre in Vancouver. 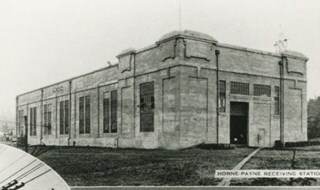 In 1944, Cullerne designed a community hall for Capitol Hill; the scheme was delayed, and redesigned before it was finally built after the end of the Second World War. 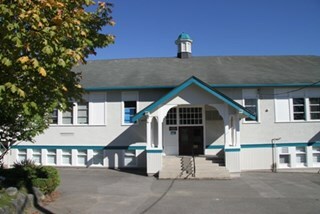 A simple front gabled roof hall structure, this hall is a monument to community spirit, erected by community members on a volunteer basis, and used for community events for over half a century. 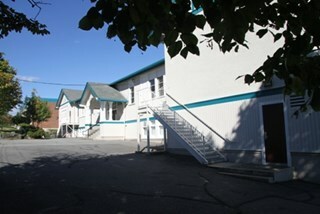 The hall replaced two earlier structures, both destroyed by fire, that had served the same purpose. 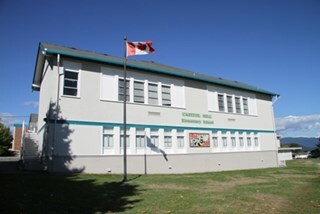 This school was originally designed by Bowman & Cullerne as a two-storey, four-room school building in 1923, with a two-room addition completed in 1926 and another in 1927. 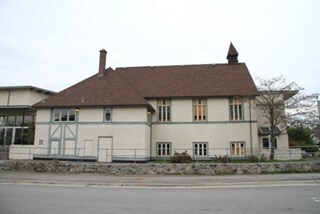 Originally designed in the Arts and Crafts style, it has been altered, with the addition of stucco over the original siding and replacement windows, but has retained its original form and massing, as well as its roof-top ventilator and front gabled entrance with grouped columns. 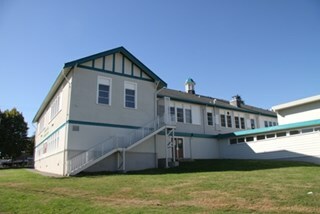 Bowman & Cullerne specialized in school design. After Harold Cullerne (1890-1976) returned from service during the First World War, he joined J.H. 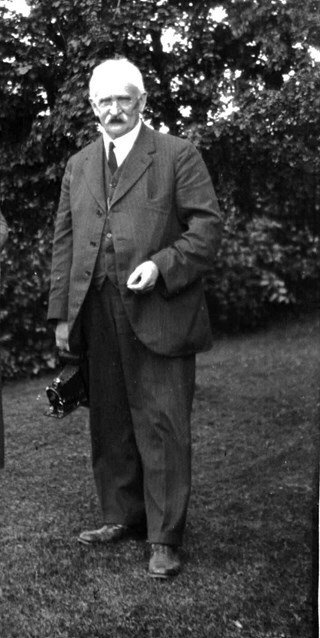 Bowman (1864-1943) in a partnership that lasted from 1919 to 1934. 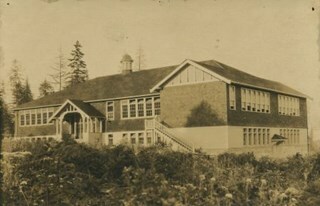 The firm’s other school designs included Seaforth School (1922, now relocated to Burnaby Village Museum), Burnaby North High School (1923), and Nelson Avenue School (1927). 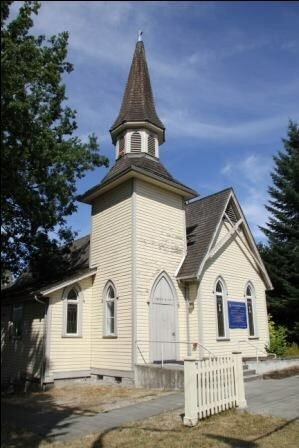 Beautifully designed in an Arts and Crafts idiom, this church features a textural mix of finishes including lapped siding and stucco and half timbering in the gables. 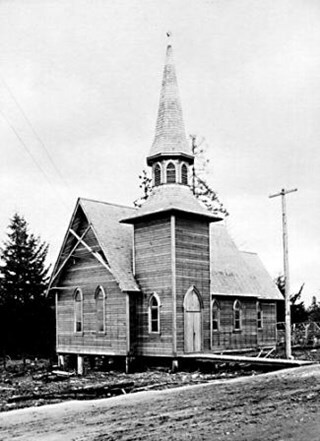 The British Columbian reported in July 1912 that: "The Baptists of Edmonds will possess a fine and well planned church when the building now commenced is ready for occupation. 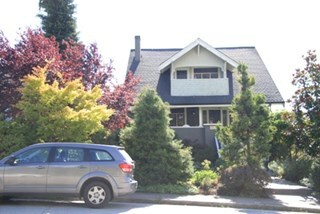 The architects are J.P. Matheson and Son, of Vancouver, and the contractors, Muttitt and Bell, of New Westminster. 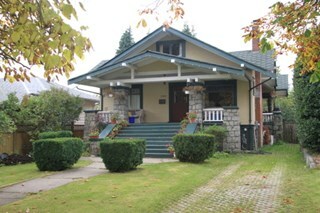 The entrance porch fronts Edmonds Road and the west side faces Vancouver Road. It will have a capacity for 272 sittings, spacious aisles and choir platform besides various rooms for Baptistery, vestry and robing apartments." 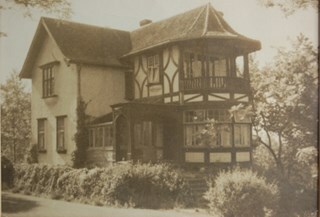 George Searby Buxton (1867-1955), an English-born carpenter, built this Arts and Crafts dwelling and resided here with his wife and local teacher Mary Isabel Buxton (née Nattriss, 1865-1941). 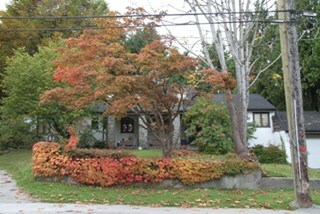 George and Mary are both buried in the picturesque St. Helen’s Anglican Church cemetery in Surrey. 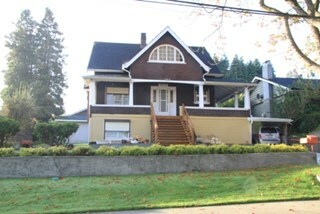 The house retains this style’s characteristic elements such as half-timbering, an oriel window and turned verandah supports, as well as its distinctive windows, which are casements in the lower portion of the frame and a fixed multi-paned sash in the upper. 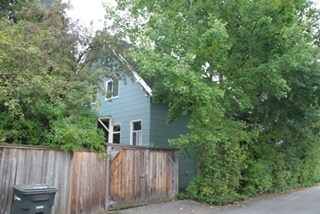 The original siding has been covered with a later coat of stucco. 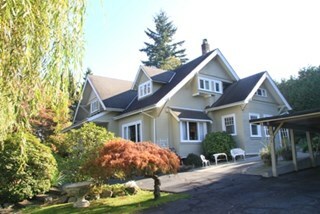 The house survives in well-maintained condition. 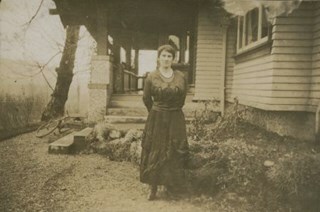 Samuel Fred Munson was born in North Branch, Michigan in 1876, and moved to Edmonton in 1902. 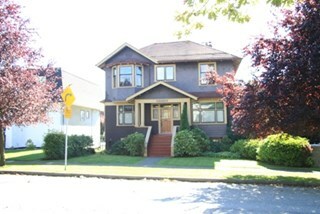 In 1909, he relocated to the booming city of Vancouver, where he established himself in the real estate trade and specialized in subdivisions. 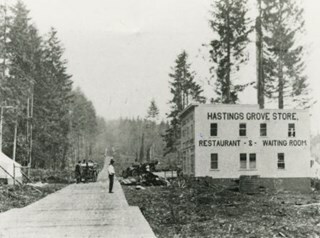 He purchased a tract of 160 acres in North Burnaby where he founded the townsite of Hastings Grove. 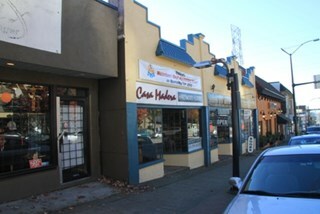 This square, flat roof commercial building was built by Munson as the terminus of an automobile shuttle that would bring potential purchasers from downtown Vancouver to Burnaby Mountain to the restaurant located here, so that they could relax and view the new subdivision. 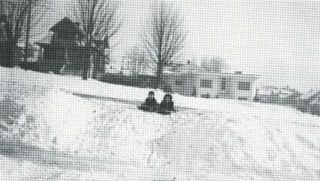 Improvements at the townsite included a large boarding-house, a Methodist church, graded streets and five houses that Munson erected. 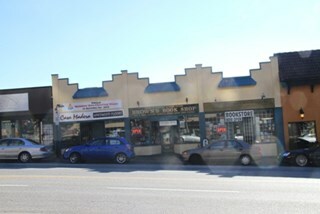 The building retains its distinctive form and serves as a rare survivor of the 1910-1913 real estate boom of Burnaby’s Lochdale area, even though some of its characteristic commercial elements have been lost, including its cornice and large front display windows. 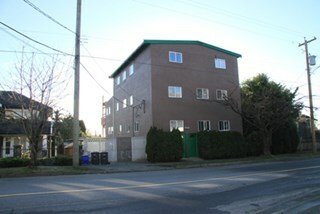 Stucco has covered its exterior lapped siding and the building has been transformed into an apartment complex. 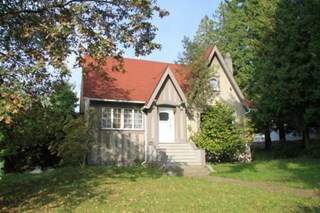 Carpenter Henry J. Adams constructed this side-gabled, shingle-clad bungalow circa 1913, with his neighbour, George S. Buxton (1867-1955), who was also a carpenter. 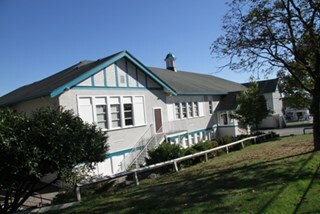 The house is distinguished by its beautifully-detailed wraparound verandah, which is supported by square, tapered columns, and its distinctive semicircular window in the projecting front gable. 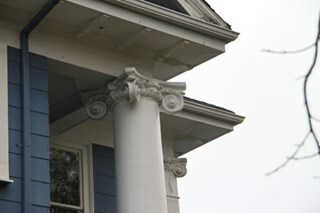 Other details include a subtly flattened arched opening under the gable, leading to the central front entry.